Perched at 1,000 ft elevation, above the fog, clouds and the Pacific coastline. 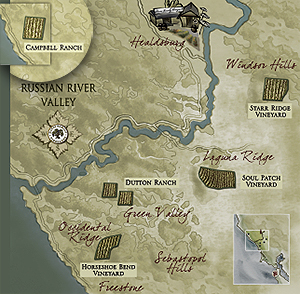 Campbell Ranch Vineyard is owned and farmed by Steve Campbell. 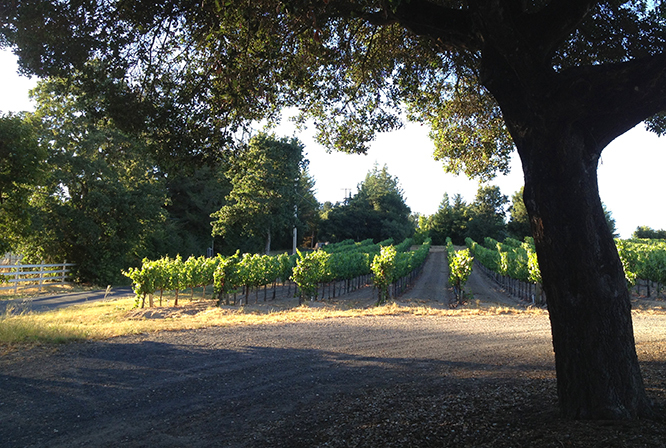 The soil is calcareous coastal sandstone and closely spaced vines are planted to multiple Dijon clones.